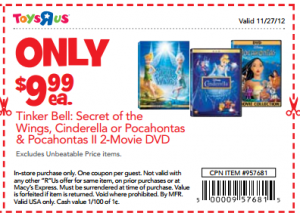 Toy’s R Us Daily Deals: $9.99 Disney movies plus Cyber Monday extended! You are here: Home / National Stores / Toy’s R Us Daily Deals: $9.99 Disney movies plus Cyber Monday extended! If you haven’t signed up already, make sure you sign up for your free six months of Shoprunner! It will give you free shipping on most items! Toys ‘R Us Cyber Sale: Save up to 60% + bonus items! 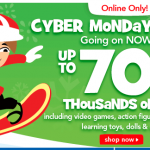 Toys ‘R Us Cyber Monday Deals Live Online Now! Toys ‘R Us 8 hour Cyber sale: until 7 pm ET today only! 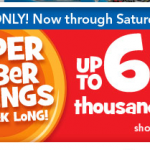 Toys ‘R Us: Super Saturday Deals and Doorbusters! 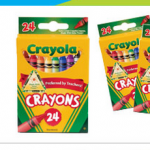 DEAL ALERT: 4 boxes of Crayola crayons for $1 plus MORE deals!